Before taking a 15 minute scenic flight over Halong, get away from the hustle and bustle of the city life as you board a seaplane and get immersed in the outstanding aerial views over Hanoi as you fly 45 minutes to Halong Bay. Explore Halong Bay in a completely different way, why not? 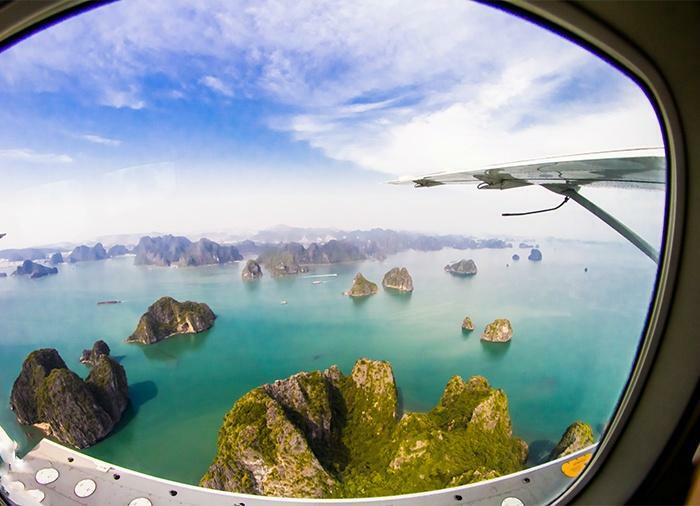 In Vietnam, travelers can have so many new and unique experiences thanks to the seaplane service for visitors traveling from Hanoi to Halong of the private Hai Au airline. 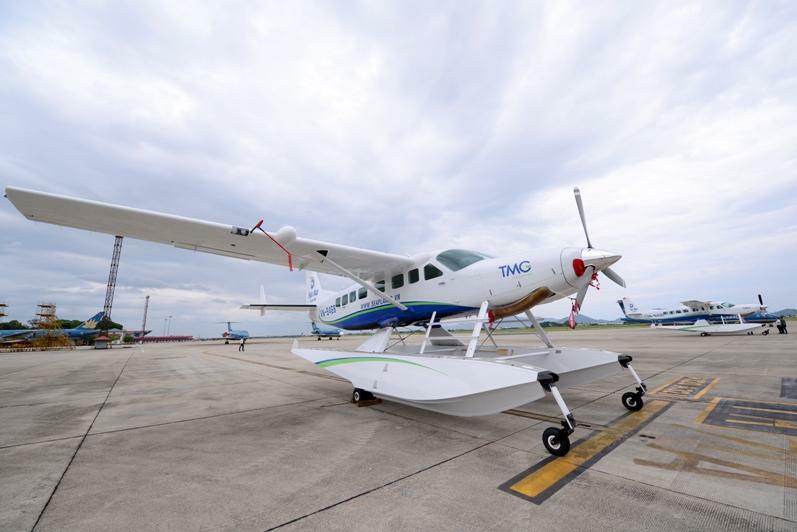 Officially launched in Halong on the 9th of September 2014, seaplane service is provided with 2 Cessna Grand Caravan EX seaplanes. Accordingly, it will take only about 45 minutes to go to Halong Bay from Hanoi when visitors join in this service. During the flight, visitors will have an amazing chance to contemplate the incredible natural scenery of this beautiful bay from the altitude of 500-3000 meters. 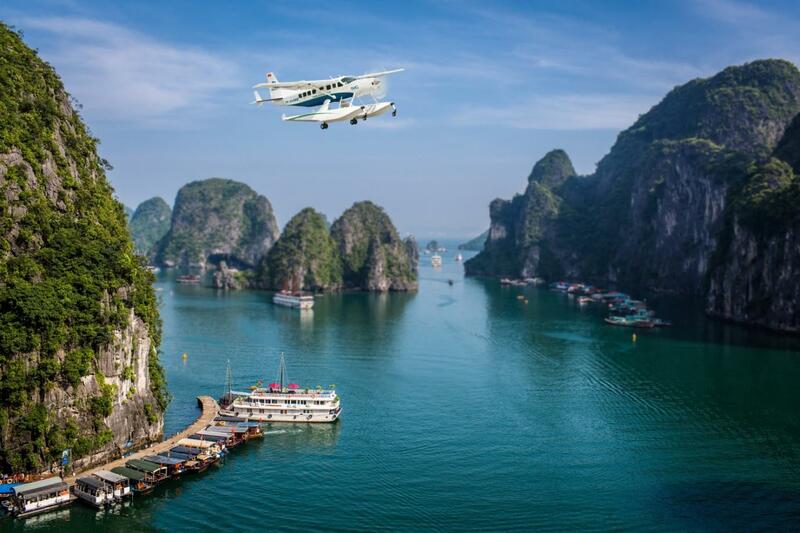 Halong Bay Tours by seaplane suit people who want to save time for business. On other ways, due to traffic jam and the bad condition of Vietnam’s road, explore Halong Bay by seaplane seems to be the best choice. Having maximum capacity of 12 passengers and speed of about 300km/h, Cessna Grand Caravan EX, which is a modern seaplane model produced by Cessna Company of Textron Group (USA), is capable of taking off and landing at not only normal runways but also on the water (lake, river and sea). 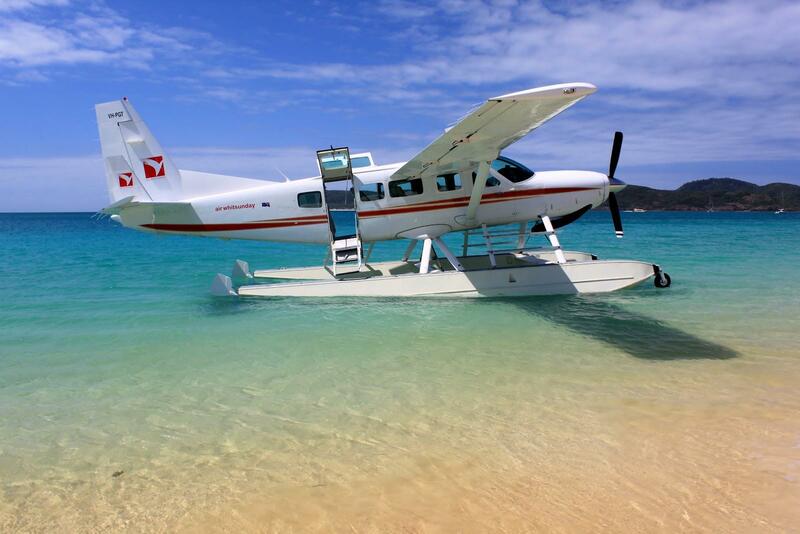 You will take only 30 minutes by Cessna Grand Caravan EX seaplane to admire all scenery of the world natural heritage from above, instead of spending 3-4 hours traveling by car from Hanoi to Halong. The seaplane with huge windows allows you to observe and record unforgettable moments while flying over some stunning sites such as Tam Dao (Vinh Phuc Province) or Cat Ba (Hai Phong City). It is such an exciting experience feeling of taking off and landing on the water. There are 1-3 round-trip daily flights to Halong from Hanoi and vice versa and 5-10 scenic flights around this stunning bay. Additionally, as required by the government and local agencies within the domestic and international flights, Hai Au airline also provides charter flight services for individuals and organizations as well as dedicated flight. It costs 7 million/person for a 40-minute Halong Bay scenic package and about 5 million/person for a 25-minute package.